Midnight Special is one of those movies I wanted so much to love. I liked it—a great deal, actually—and I recommend it highly for its emotional depth, but I feel the holes and unevenness of the story-line derailed its shot at greatness. There is genuine warmth alongside its danger, and real humanity with its science fiction. There are also too many opportunities to question the how and why of it that pulled me out of what was otherwise a thoughtful and well-made film. Written and directed by Jeff Nichols, Midnight Special has a similar feel to Spielberg’s work in many ways, with sincere sentiment, strong family connections, and a warm glow. 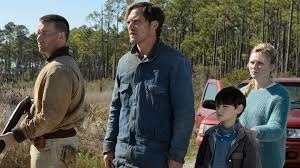 In addition to that influence Midnight Special is also obviously a labor of love, which is perhaps why Nichols has difficulty drawing the line between the mystical and the concrete as the story progresses. Midnight Special begins with great promise in a setting rich with potential—a heady mix of supernatural powers, other dimensions, fundamentalist cults, and the feds—but after a strong start the plot loses its initial focus and the action sags. A great revelations comes midway into the movie and the momentum is hard to regain. At one point, three characters are simply standing around in a parking lot for what feels like an eternity of screen time. Missteps like that trip up the storytelling and weaken its power. And this is a powerful story. 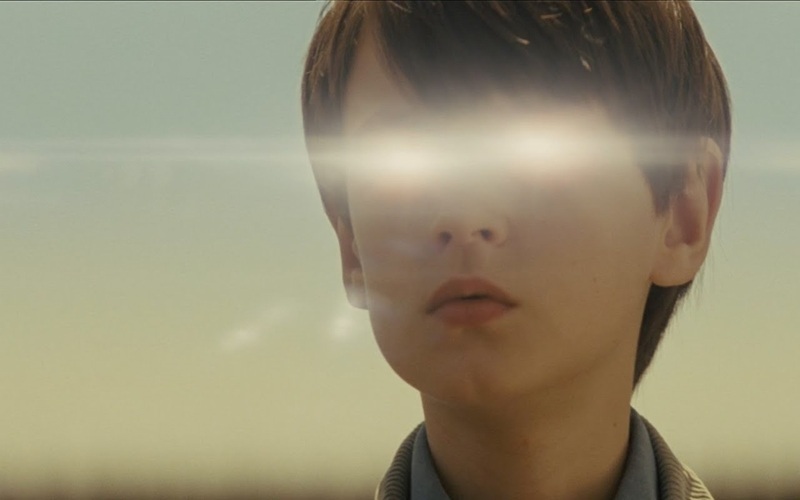 In brief, Midnight Special is about an extraordinary child born to members of an apocalyptic cult in rural Texas. The boy’s father and the fathers’ best friend escape with him on the cusp of his triggering a possibly devastating, possibly transcendent supernatural occurrence. The cult wants him back and is in hot pursuit. So is the federal government. In a way, Nichols gives us too much and not enough all at once. The mysteries felt a little too explained, to me, as if he were trying to make them plausible or at least narratively consistent, and stopped in medias res. He wants to convince the audience that there is a spiritual logic behind the ranch group’s worship with evidence that doesn’t tie together. He offers revelations from the federal investigation that reveal nothing. He offers reasons for keeping Alton in the dark that, even when described, don’t fit anything we have seen. I feel Nichols’s script would have been stronger if he had actually left out more details—let the faith be blind, let the phenomena be inexplicable, to preserve the sense of wonder he works so hard to evoke. A large part of that wonder can be attributed to the actors. The cast is strong, the acting natural, and the characters are all realistic despite the events all around them. As the supernatural boy, Alton, Jaeden Leiberher is perfect with his small, serious face and matter-of-fact intelligence. Michael Shannon and Kirsten Dunst as Roy and Sarah, Alton’s parents, are convincing in their pain, belief and intensity. Joel Edgerton’s Lucas, Roy’s best friend, is forceful and solid as a now-rogue state trooper who has come to believe in Alton’s potential divinity. And as the NSA agent Paul Sevier, Adam Driver brings quiet competence and a clear-eyed willingness to his character as Paul is also drawn in to Alton’s supernatural world. All the characters move under great weight, but they are not crushed by it. They endure, and they believe. Alton’s vulnerability, his parents’ love and faith, Lucas’s friendship and dawning belief, Paul’s openness to something more in the world, all form the core strength of the movie. Alton’s power may drive the plot, but human connection makes it work. The visual imagery used to show Alton’s power is spectacular and shocking—even to someone steeped in blockbusters–and still so very convincing in its context. At points Alton suffers from the abilities he cannot control, and the audience can’t help but feel his pain with him. But it isn’t clear how a boy with seemingly so little control over his own abilities can be a solace as well as a threat. He is made out to be part radio, part laser, and part warhead. The risk of being close to that seems overwhelming, and Alton’s magic loses some of its transcendence when Nichols begins trying to explain it piecemeal. Flaws and all this is still a beautiful film, surprising, sweet, and moving, but I think it lacks the power to rise any farther than that. It is still worth seeing, even more than once, for the fine acting and the striking cinematography. 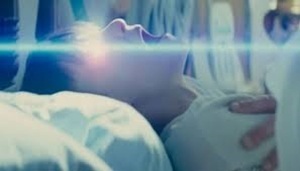 It plays like an affectionate amalgam of Close Encounters, Firestarter, and Starman, and despite some startling effects and spare but jarring violence, Midnight Special is at heart a gentle film. It does not bear too much analysis. But even with its imperfections and inconsistencies it is worth seeking out. In my experience, the bigger the hype, the bigger the disappointment. 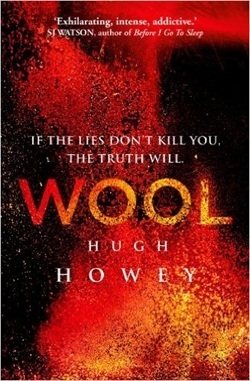 And so it is with Hugh Howey’s Wool, the first of his Silo saga. Wool began its climb to fame as a self-published series of short stories. Then those various pieces were collected into a novel when Simon & Schuster picked up the property. But despite the attention of a mainstream publishing house, its amateur origins show. While the novel gained considerable word of mouth buzz (including rumors that a film version might be directed by Ridley Scott), I think its literary shortcomings dim the luster and make the glowing cover blurbs seem completely overblown. Wool is reasonably entertaining, and may be in the vanguard of the new way of publishing, but it is a long way from great. 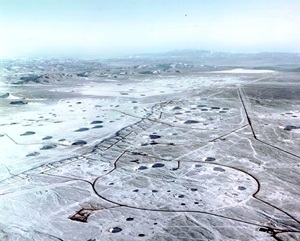 The basic idea is intriguing—a society contained entirely inside a deep, underground silo, the descendants of the last human survivors of a world-killing war. And the plot itself is plain and solid, with secrets, factions, civil war, and plenty of action. But the execution is blunt and unpolished, with several main narrative components suffering from it. The first issue I have is with Howey’s character development. Wool presents as a typical teen dystopia—except it has a cast of adult characters who do not seem to have grown emotionally since their adolescence. The stubborn behaviors, the angst, the absolutism, the weepiness, would all make more sense if the characters weren’t mostly in their thirties. 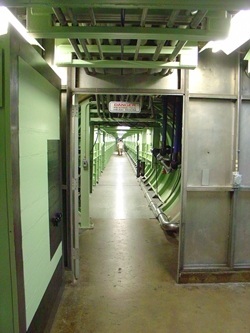 Overall, Howey’s silo inhabitants are not particularly well-drawn or differentiated, with even the main protagonists being plot-driven rather than drivers. The few who do stand out, though, demonstrate a profound lack of realism. As a surprise survivor in another underground silo, Solo (Solo? Really?) is written like a mentally challenged child, not as a fifty-ish man who has spent most of his life in isolation. He jumps around like a preadolescent, although he was supposed to have been sixteen when he was left alone. And as the chief antagonist, IT head Bernard is an almost comically hackneyed villain with his mustache, pot belly, and Napoleonesque habit of putting his hand inside the front of his overalls. He is grandiose and megalomaniacal and every bit the cartoon tyrant. At intervals, Howey tries to add some flavor to his cast. “I just don’t figure he was happy up there. That weren’t his home” (184) is his repeated attempt at differentiating characters—the ones he would have us identify as older, good men. Unfortunately, inserting a few random country twangs into a limited, otherwise homogeneous (if stratified) population doesn’t ring true and does nothing to make those characters into individuals. Howey seems to have done only cursory research on the physical aspects of the novel’s world, relying instead on his imagination to flesh it out. This makes many of his constructions come across as unlikely and conceptually flawed. Too many details are seemingly thrown in only to make the situation seem futuristic, and they do not bear much scrutiny before they fall apart—the giant spiral staircase as a highway for the entire population, the inefficient reliance on human porters, the ubiquitous, color-coded overalls, pig’s milk as a beverage, corn growing in underground farms, mining and oil drilling directly below the silo, rotten soup and intact bodies still existing after thirty four years. It all goes back to the old saw of “write what you know”—which doesn’t mean write what you have experienced, but what you have studied and understood. Howey didn’t. In addition to the awkward and unlikely details, there are some really excruciating descriptions to be found here: “His husband eyes swam behind tears while he allowed his dutiful sheriff-self to intervene” (24); “The clouds…loomed like worried parents over these smaller darting eddies of windswept soil, which tumbled like laughing children, twirling and spilling, following the dips and valleys as they flowed toward a great crease where two hills collided to become one” (44); “Here was where silicon chips released their tangy scent as they heated under the strain of crunching data” (204). The messy attempts to build atmosphere only serve to show how rough this Wool really is. As an extension of the weak characterization and the bad prose, Wool is riddled with pervasive fifties-style sexism and gender-roles that seem an odd social trait to retain, post-apocalypse. 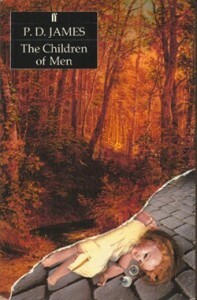 For example: “The deputy possessed that distinctly male quality of pretending to know where he was, even when he didn’t” (90); “There’s this ritual, a man asks a girl’s father for permission” (152); in reference to a twenty-seven year old man, “She smoothed the front of her red overalls and allowed Lukas to help her to her feet. She puckered her lips, and he presented his cheek. “My little boy,” she said, kissing him noisily and squeezing his arm” (410); and the hyper-traditional “Young children lumbered reluctantly off to school; husbands and wives kissed in doorways while toddlers tugged at their overalls and dropped toys and plastic cups” (146). Howey evokes a social structure that harkens back to an idealized mid-century rather than putting the energy into something organic. I found it off-putting and a little weird, unless Wool’s world ended in 1960. The story picks up considerable momentum in the last hundred pages and becomes a reasonably compelling read, but the damage is already done. The improvements in the home stretch can’t disguise that Wool is overall rather artless, and the weak characterization, ungainly descriptions, and ill-conceived mechanics all combine to make this novel a prime example of the pitfalls of big hype. It’s an interesting story idea, passably told, and an amusing enough read. Not much more. When it comes to adaptations, I am normally a stickler for the purity of the source material (I’m looking at you, Peter Jackson). I realize there will always be exceptions like The Princess Bride, when a book’s narrative structure makes it difficult to film but it still has a viable story to be told, or adaptations which tell the core story in a way that is distinctly their own—inspired, rather than adapted, different yet equal—like Blade Runner and Do Androids Dream of Electric Sheep. And last there are those adaptations where the movie is far better than the book ever was, tapping into the story’s potential in a way the words on the page have failed to do. That, I think, is the case with P.D. James’s The Children of Men and the film made of it. Since I thought the movie version of P.D. James’s foray into bleak speculative fiction was excellent, I figured I would check out the source novel. I was intrigued by the idea of James writing dystopian fiction, since she was well known for her literary mysteries and not for her near-future world’s ends. But dystopia is not something strictly relegated to multivolume science fiction epics. Dystopia is a concept that rears its head among the literary set with some regularity. Think 1984. Think Brave New World. James is respected. What could go wrong? A lot, actually. While the novel was undeniably well-written, I expected much more than I got. 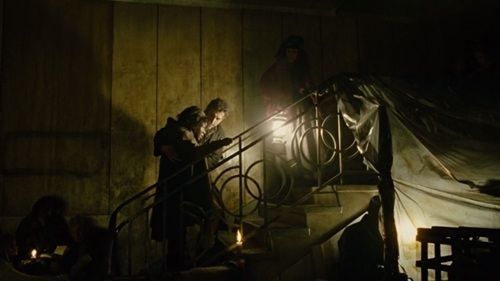 The Children of Men is a fairly dry story about not particularly nice middle-aged to elderly people, many of whom are Oxford University professors, all of whom are jockeying (openly or in secret) for control in a dying world. It is a slow-moving work, spending more than half its pages in setting the stage before anything actually happens. Told alternately as first-person diary entries and third-person narrative, the plotting is solid and polite and the characters’ evolutions not truly believable. The end of the world has already happened when the story begins, and the novel unfolds in the long, slow decline that comes in its wake. Human fertility petered out twenty five years before. Society is crumbling at the edges, but the aging population can still go about a fairly normal routine that becomes more limited as the days pass. Their suicide is encouraged by the newly-totalitarian government as a means to preserve resources as long as possible. The last-born generation, the Omegas, have become dangerous and uncivilized as their elders come to grips with the end of the world. James dwells on the collapse of society, and the re-embrace of the brutal pagan past: “that even the frozen sperm stored for experiment and artificial insemination had lost its potency was a peculiar horror casting over Omega the pall of superstitious awe, of witchcraft, of divine intervention. The old gods reappeared, terrible in their power” (8). She imagines a different kind of lost generation, one that has gone feral because they no longer represent hope for the future. But James’s characters seem brittle and not especially likeable. Theo, the keeper of the diary, is a middle-aged professor of history whose conversion to the rebel cause is less than convincing. His falling in love with the blank slate of Julian, the first pregnant woman in a generation, seems built on nothing in particular, as does her mutual attachment to him. Theo’s main value seems to lie in his family connection to the head of the ruling council, a man so entrenched in his power that he can throw out grim philosophies like, “We plan for the sake of planning, pretending that man has a future” (102). There is little warmth to be found in the novel, and even with an eventual birth James leaves her readers with very little to hope for. But she does leave us with an intriguingly sharp observation about the lure of power. And yet something more passionate came from it. Despite its emotionally chilly source, Children of Men was a well-received 2006 movie that took a large number of action-oriented liberties with the plot, transforming The Children of Men from a mannered, upper-class dystopian novel into a deeply touching film about the fight to preserve human worth in the face of societal collapse, whatever the personal cost. The film shows the effect of the gradual loss of hope much more vividly than the book does, through younger eyes and by more violent means. But it also shows that while hope exists, there will always be people willing to sacrifice themselves to make it bloom. Resilience, kindness, and an unquenchable willingness to help underlie the grim, dehumanizing world of this Children of Men. The story begins with the same triggering event as the novel. But it also begins in a crowded London with the populace soaked in government-sponsored nationalism and fear of illegal immigrants. The characters have considerably more emotional depth than in the book, and the actors have a lot to do with the humanity of the tale. Clive Owen especially brings a nonacademic fullness to Theo that is lacking on the page. And the script sees fit to give them all more realistic motives, with some tie to either current or past radicalism and a deep well of sympathy to draw from. In this version, the British government’s Homeland Security rounds up its immigrants for transport to a city converted to a brutal internment camp. Everyone is armed and willing to kill, with rebel groups fighting a guerrilla war against the government repression. Julian is reimagined as a radical involved with a terrorist gang to protect a young, miraculously pregnant immigrant woman from government interference. Trading on old relationships, she draws Theo into their plot. Theo’s ties to power, so vital in the book, are no longer central—they exist, but he becomes truly valuable because of his own qualities and his commitment to saving the pregnant woman. 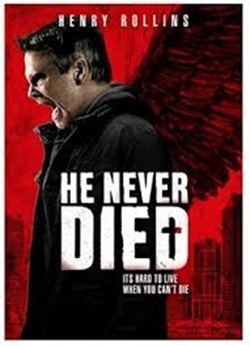 While I normally enjoy a film less than its inspiration, this is a case where the original material left me cold. I found The Children of Men to be beautifully written but so full of unpleasant people that I can’t honestly say I cared what happened to them. 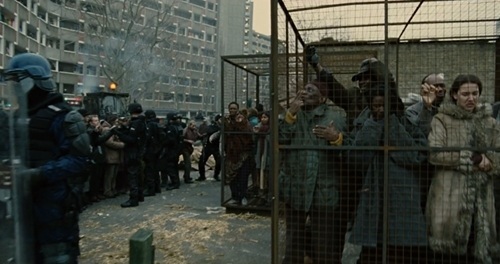 The movie, though…if you are looking for an adult dystopia, Children of Men will serve well. Despite the terrible imagery that fills it, this Children of Men still ends with fragile optimism. Same characters as the book has. Same events. In some cases scenes transcribed verbatim. But by shifting the perspective from the machinations of power to the power of hope, the effect on film is something wholly different than the original material can produce.